Corporations now have as much power in many parts of the world as governments. The majority of them would like to do business in a way that sustains and contributes to the world community, but the nature of our financial markets makes that difficult. Each company is beholden to a broken system of assessing its value, which in turn preoccupies its shareholders. The result is that companies feel they cannot afford to acknowledge and defend the rights of Indigenous Peoples. As citizens we can vote to steer our governments in the right direction, but how can individuals influence the world’s largest corporations? We can begin by choosing what we buy, where we bank, and what businesses we support based on the values they act upon. If enough consumers support Indigenous Peoples and oppose policies that hurt them, businesses will take notice and change. The most direct way to influence companies is to bring our concerns into corporate boardrooms through socially responsible investing. If you already have an investment portfolio, consider tailoring it to focus on companies that engage with and support Indigenous communities. If you’re looking to start a portfolio, now is a perfect time to build a socially responsible portfolio from the ground up. 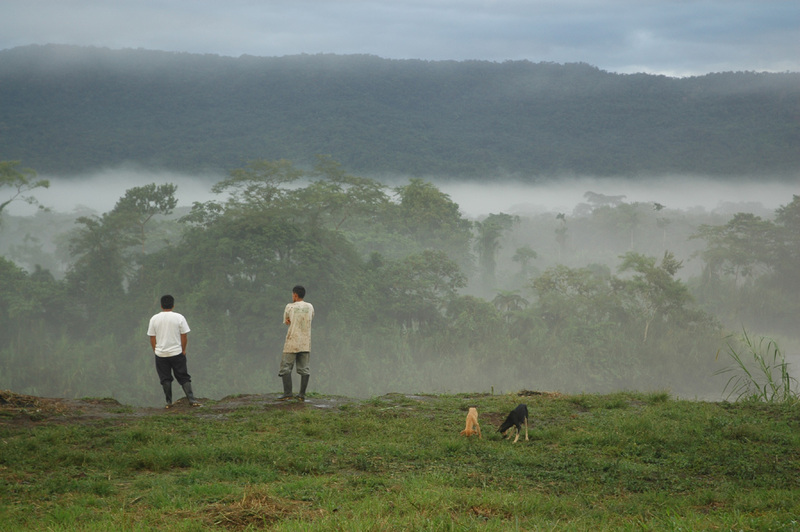 Screening is the process of choosing which companies to invest in based on their policies toward Indigenous Peoples. You can begin by downloading our Indigenous Peoples Investment Criteria. The guide is a comprehensive list of companies with progressive, supportive policies toward Indigenous Peoples, as well as those that harm our communities. Use the guide to help you shape your portfolio, and share it with your friends and family. Shareholder activism is when people who own stock in a company vote by proxy in board meetings, or otherwise try to influence the company from within. Most socially responsible investors combine shareholder activism with a concerted effort to invest in companies that are trying to change their policies, aiming to help the process along. Some investors even buy stock in the worst companies in order to influence them to change. Community investing is the process of providing funding directly to local, grassroots development projects. The best way to invest directly in Indigenous-led community projects is to contribute funds through the Fund A Project page on this website. Here you can learn about specific project proposals from communities around the world and choose which ones you’d like to help fund. Then you can use your credit or debit card to make a donation, or contribute via Paypal. This is our way of connecting our communities to supporters all over the world who want to make a difference in the movement for Indigenous rights. First Peoples Worldwide does not use funds donated through our website—we guarantee that all of your contribution will go directly to the community project you choose.